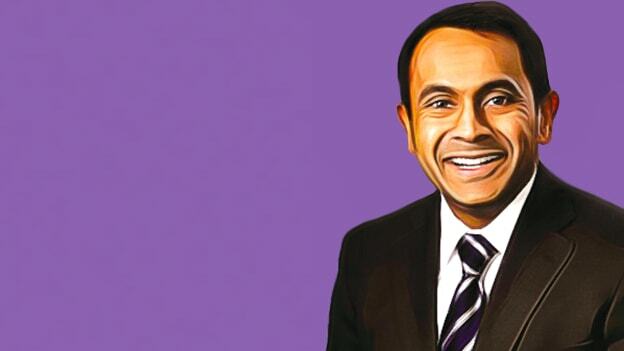 Ravin Jesuthasan, Managing Director and Global Practice Leader, Willis Towers Watson, is a recognized global thought leader and author on the future of work and human capital. He has led numerous research efforts on the global workforce, the emerging digital economy, the rise of artificial intelligence and the transformation of work. Jesuthasan has also lead research projects for the World Economic Forum including its groundbreaking study – ‘Shaping the Future Implications of Digital Media for Society’ and the recently launched ‘Creating a Shared Vision for Talent in the 4th Industrial Revolution’. He recently co-authored the book - Reinventing Jobs, A 4-Step Approach for Applying Automation to Jobs along with John Boudreau. Based on ground-breaking primary research, Reinventing Jobs provides an original, structured approach of four distinct steps—deconstruct, optimize, automate, and reconfigure—to help leaders reinvent how work gets bundled into jobs and create optimal human-machine combinations. In this exclusive interaction with People Matters, Jesuthasan shares his insights on what the workplace of the future will look like and how organizations will be completely constituted of an agile workforce. What do you envision the workplace of the future will be like? From the perspective of an innovative workplace with the optimal combination of humans and machines, how would you describe the workforce of the future? The workplace of the future will increasingly comprise an agile workforce that has the visibility to how automation is transforming its work and the skill and will to continuously reskill itself. The renowned futurist Alvin Toffler said in his book ‘Future Shock’ in 1973 that the illiterate of the 21st century will not be those who cannot read and write, but those who cannot learn, unlearn and relearn. That is what is going to be asked of talent in every organization; to continuously retool itself to stay relevant. Now coming to the topic of reinventing jobs, how would you conceptualize the idea of reinventing jobs in your own words? There is a reason why we chose to write the book Reinventing Jobs. There is a lot of data out there that talks about automation destroying jobs. The problem is that the job is not the unit of measurement. The unit of measurement is the task and until you deconstruct jobs into tasks and understand the nature of work, you cannot really understand how to apply the three dominant types of automation, which are – Robotic Process Automation, Artificial Intelligence, and Social Robotics. Once you have done that, what you see is that for certain types of work, automation substitutes for human labor. But for lots of other types of work, it augments the human being, raising their performance and productivity. And in many other instances, it actually creates new types of work for humans. So, the framework that we have put together is intended to be a guide for business leaders in thinking through how to responsibly and sustainably apply automation to work. How will reinventing jobs impact organizations as they seek growth and success in an era of change and digital transformation? We think that the tools and framework we have provided need to become a core competency of every manager and HR function because otherwise you are faced with the binary choice of either automating work or using humans, which is a false dichotomy. Every manager needs to understand that the concept of a job, which we have had for 150 years, is getting in the way of them realizing the optimal combinations of humans and machines. Will the workplace of the future be shaped primarily by technological change or by changes in peopleÕs thinking and attitudes towards work, or both? Today, many of us focus on the technological changes when we talk about the future of work because those are often the most visible changes, but in fact, there are two major changes that are happening. The first is the technology obviously, but the second is the growing democratization of work. So, the ability to take work, pull it out of the organization, distribute it anywhere, give anyone around the world the opportunity to perform a particular task as a result of how connected we are, is also reshaping the workplace of the future. It’s both technology advancement as well as the democratization of work. How, when, and where should organizations apply automation? Is it a stark choice between humans versus machines? No, you have to start with the work as opposed to starting with ‘I have got a great technology, where do I use it?’ You have to start with work, understand exactly what the task is, what are you trying to solve for and the role of a particular type of automation in solving that problem and delivering one of those three outcomes — either to substitute the human task, augment it or create new human tasks. Can you share a bit about the 4-step framework that you have written about in your book? The first step is deconstructing the jobs and categorizing the tasks, the second step is understanding what we are trying to solve for — are we trying to solve for minimizing errors, reducing variation, improving productivity or achieving exponential improvement or transformation. The third step is to understand the three types of automation previously discussed and the fourth step involves combining humans and machines to achieve one of the three outcomes – substitution, augmentation or creation. What talent challenges do you foresee in the workplace of the future? The biggest challenge is going to be the capability of the organization to deal with the plurality of the means for work. Do I know when and where to use an employee versus an independent contractor versus an outsourcer versus a gig worker on a talent marketplace or AI or robotics. Being able to make those informed decisions for a particular body of work and having the tools as well as the mindsets to be able to make those decisions and change them when needed is going to be critical. How do organizations stay on top of these technological trends as work and automation continue to evolve? I think that is going to be really critical. As automation continues to accelerate and you see AI move from one domain to another, there is going to be a huge premium on organizations staying on top of the evolution of automation. And the good news is there are lots of data sources now, so we can understand and see how automation is evolving. Is there anything else that you would like to add to the subject of the future of work and reinventing jobs? It is going to be very critical for us go beyond the notion of a job and to understand that until we get to the foundational tasks and skills, we are not going to be able to get to the optimal combination of humans and machines. And this is why it is essential that we move towards a skills-based economy.